The Windsor Casino - Looking for a Mini Romantic Break? Consider the Windsor/Detroit area. 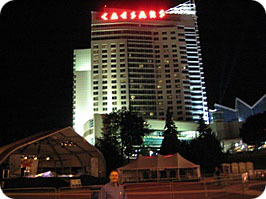 Windsor Casino - Caesars Windsor is a great vacation idea if you live in Ohio, Michigan, Ontario, or within a 4 hour drive of Windsor or Detroit. Windsor, Ontario is a great mini romantic vacation idea. 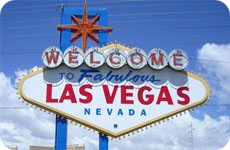 You can experience the excitement of the Casinos, great shopping, dining and entertainment. Even if you aren't a fan of casinos, where there are casinos there is usually great luxury hotels, signature restaurants, awesome entertainment and world class shopping and the Windsor, Detroit area is no exception. Harrah's Entertainment purchased Casino Windsor, updated it, added on a new tower and the Coliseum entertainment venue. The property is now Caesars Windsor. The MGM Grand and Motor City have recently rebuilt their properties and have added more rooms and fabulous dining experiences. See what other people enjoyed in Windsor at TripAdvisor. 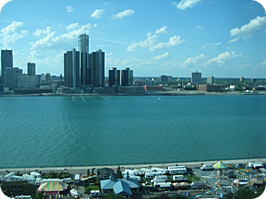 There are other attractions to see and do in the Detroit/Windsor Area as well. Read on to see more. The Windsor Casino has been bought out by Harrah's Entertainment and is now Caesars Windsor. This will no doubt bring an atmosphere of class and an aura of history as does Caesars Palace in Las Vegas does. The transition is now complete. They had their Grand Opening on June 19, 2008 with a invite only black tie affair, and Billy Joel opened the new entertainment venue - the 5,000 seat Coliseum. The Coliseum is the largest of it's kind and will host acts like Chris Rock, Billy Joel, Patti LaBelle, Ringo Star, and Reba. 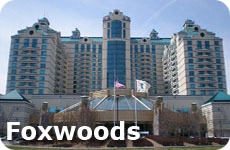 The casino at Caesars Windsor hosts all of the usual games and slots, with an excellent rewards program. Presently they are offering Gas Vouchers to encourage people to come to the casino if you qualify. Dining at the Windsor casino includes, Neros Steakhouse, The Artist Cafe, The new Augustus Cafe, the Market Buffet and the Legends Sports Bar. The hotel is the only 4 diamond hotel in Windsor and consists of 2 towers with 759 rooms and suites - the newly refurbished Forum Tower, and the brand new Augustus Tower. The rooms are beautiful and are consistent with what you would expect at a Caesars Property. The new Estetica Spa has opened, so you can relax and enjoy the luxury of the amazing spa services. Enjoy a massage, facial or other relaxing treatments. A great commercial showing you the romance at Caesars Windsor! 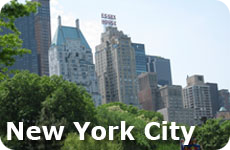 The Valet parking is complementary, as is the pool and health club for hotel guests. 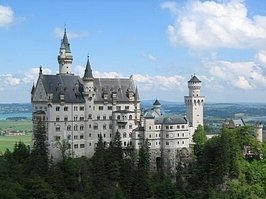 Europe is our favorite romantic destination. What's more romantic than a walk down the Seine, or dinner in an outdoor cafe? Fun, sun and relaxation. Spend some time together in one of the most beautiful places on earth. Explore the islands together, or just hang out on the beach. It's up to you.